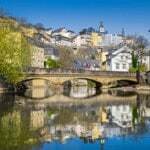 Small really is beautiful when it comes to Luxembourg; this tiny country boasts world-class museums, gorgeous historic buildings and a wonderful foodie culture. 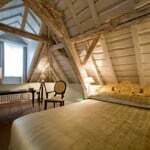 The Hotel le Place d’Armes, in the heart of the Old City, makes a perfect base for exploring, and a wonderfully relaxing place to return to after a day discovering the sights. The Grand Duchy of Luxembourg may be known as home to some of the EU’s institutions but we think it’s one of Europe’s best kept secrets when it comes to a short break. Visit our beautiful little country (about the same size as Oxfordshire!) for a weekend and you’ll find it packs a real punch. Our luxurious and eclectic hotel is the epitome of Luxembourgish hospitality and style, crafted from seven historic houses in the heart of Luxembourg City to create the perfect place to stay. We have just 28 rooms and suites, each individually styled to combine Art Deco with modernity and every comfort you would expect from a Relais & Chateaux hotel. 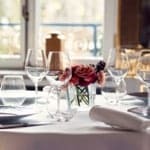 You’ll find a choice of three restaurants in the hotel including La Cristallerie, which boasts a Michelin Star. In fact, Luxembourg is home to no fewer than 12 Michelin-starred restaurants, including our own. 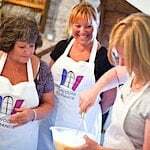 Whatever your budget and taste, it’s a top destination for foodies with cuisine which reflects our Dutch, German and French heritage and a superb farmers market on Wednesdays and Saturdays. A short break in Luxembourg has all the ingredients for the classic city break with sophisticated shopping, a wealth of museums, world-class art collections and historic treasures from a 10th-century fortress and fairytale castle to the Old Quarter, a UNESCO World Heritage site. However, Luxembourg is much more than just a city break – picturesque villages, rolling hills and ancient forests are all on the doorstep and are easily explored for a real sense of escapism. We can even prepare a picnic for you. It’s easy to get to, well under two hours’ flight from Gatwick, Stansted, Heathrow, Manchester and London City. Airlines currently serving Luxembourg from the UK include British Airways, Easyjet, FlyBe, Luxair and Ryanair. 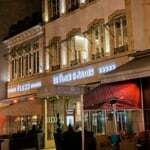 Find out more about The Place d’Armes and check out our latest special offers.